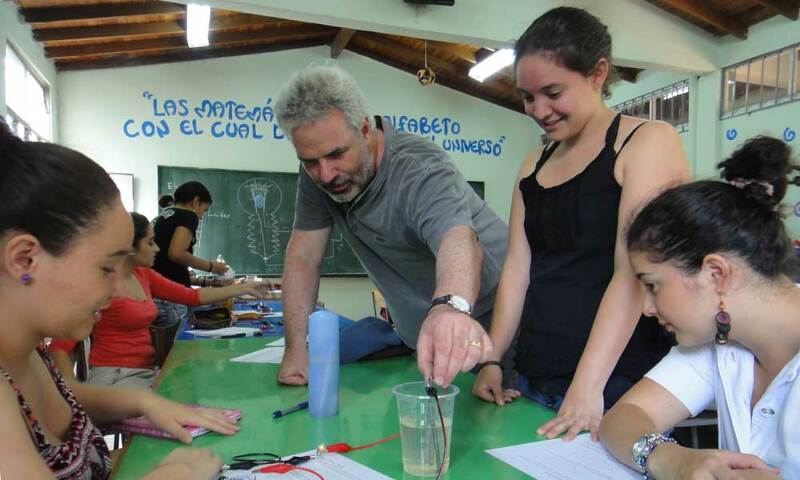 With PHYSICS-Patio13 we are looking for possibilities to teach street children science, especially physics. 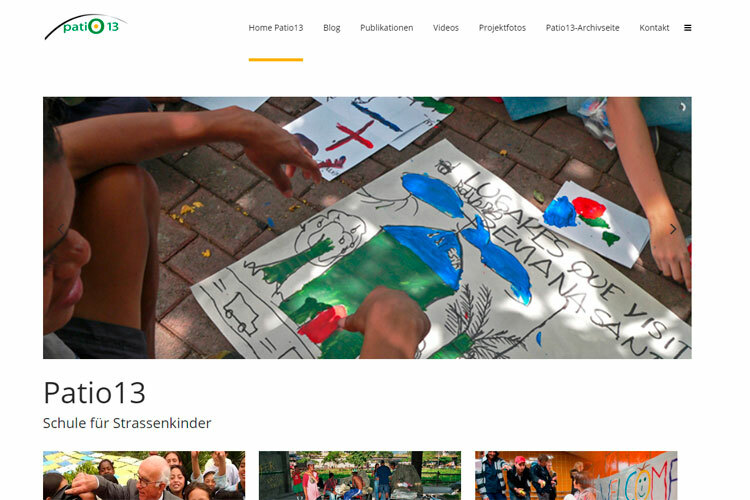 In Germany, our experiences have recently been used to introduce refugee children science. 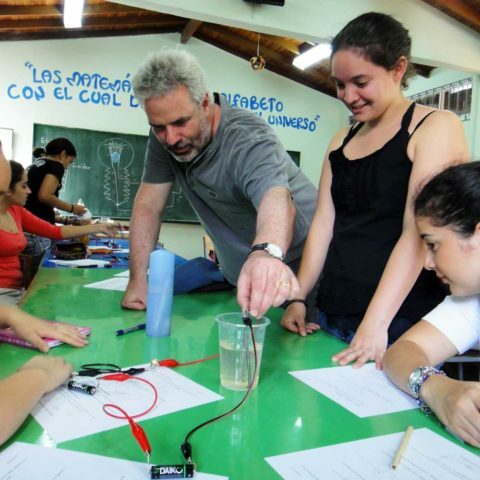 We also offer German and Colombian student teachers the necessary tools for motivating children living in difficult circumstances to experience and investigate physical phenomena. Through education, we want to improve these children’s situation and to provide them with a path to new perspectives on life. ‌The existence of street children is an increasing problem, worldwide. According to the UN Convention on the Rights of the Child, society has a responsibility to find ways of offering them adequate possibilities for learning – this of course includes science. In Colombia especially, there are too many children living without parents, homes or education. 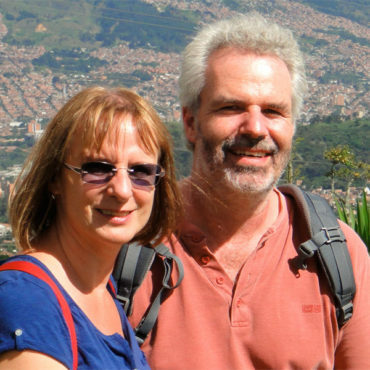 They often live in the vicinity of large cities like Medellín, Baranquilla or Cartagena. Social institutions (“patios”), work hard to take care of these children and offer them food, shelter and health services, however in general, there are no educational opportunities. Project “Patio 13” focuses on this. 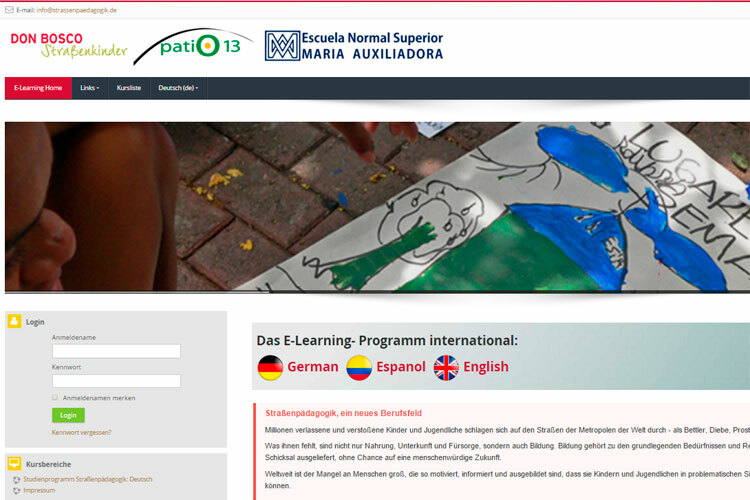 Since 2001, a group of social and educational scientists from Colombia (Escuela Normal Superior María Auxiliadora, Universidad de Antioquia) and Germany (University of Education Heidelberg, University of Education Freiburg, Heidelberg University) has been working together to implement a program of instruction in different subjects to be applied in a patio in Medellín, as well as other institutions for children living in difficult circumstances (in a state of “vulnerability”). The idea is to improve the children’s situation through education. The offers need to be specialized in a way that allows the children to participate freely, while the learning units also need to be highly individualized; i.e. they have to be oriented towards the interests of street children and organised interactively. We had to think about an adequate way of introducing science to street children and about how to prepare student teachers for this job in very short periods of time. Therefore we decided to apply methods of inquiry based science education (IBSE), both for instructing street children and training (educating) student teachers. Authentic environments are necessary for an effective learning context. School science needs authentic learning environments for school children with their specific experiences and social habitat. The same is true for street children, who need a specific science education based on their social habitat: their living conditions, experiences, motivations and interests. They live a life fundamentally different from that of children with a family and school background. They behave in a specific way related to their individual, street life experiences. Their capabilities with respect to teaching-learning interactions are different from those of children who experience conventional school socialization. The aim of the project is to improve the situation of disadvantaged children through education. Educational opportunities will enable them to live a self-determined and secure life as responsible members of society. The e-learning program provides the participant with insights into the difficult lives of socially disadvantaged children and young people throughout the world. The Street Pedagogy Masters degree qualifies teachers who have completed the program to design and participate in life-changing educational work for young people existing in difficult and traumatic situations. The Street Children World Report offers information about disadvantaged children and people throughout the world. Here you can find information about projects, media, publications and reports on this topic.